As much as I was expecting this outcome, I was hoping for a dark horse. 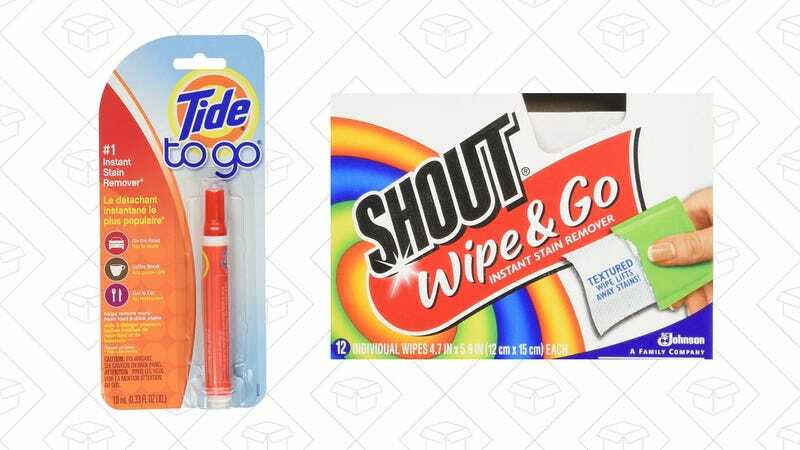 It should come as no surprise that Tide To-Go and Shout Wipes reigned supreme when it comes to fighting stains while you’re out and about. What&apos;s Your Favorite On-the-Go Stain Remover? First, was the original and reliable Tide To-Go Pen. These babies pack a punch when it comes to stain removal and have the trustworthiness of Tide. Coming in a close second is the alternative to the pen, the Shout Wipe. It comes in an easily stashed packet and you don’t have to worry about the cap falling off and drying out. These are my personal go-to. The ringer though, was especially for stains specific to That Time of the Month, is keeping a bottle of good ole’ hydrogen peroxide handy. Though, make sure it’s Food Grade.